Two-light bath & vanity with smooth forms and windowpane style gallery that produce a beautiful, modern gas light effect. Overscaled tubing and etched glass shades offer substance within the sleek frame. Can be mounted up or down. Industrial elements with modern accents offer a beautiful effect. 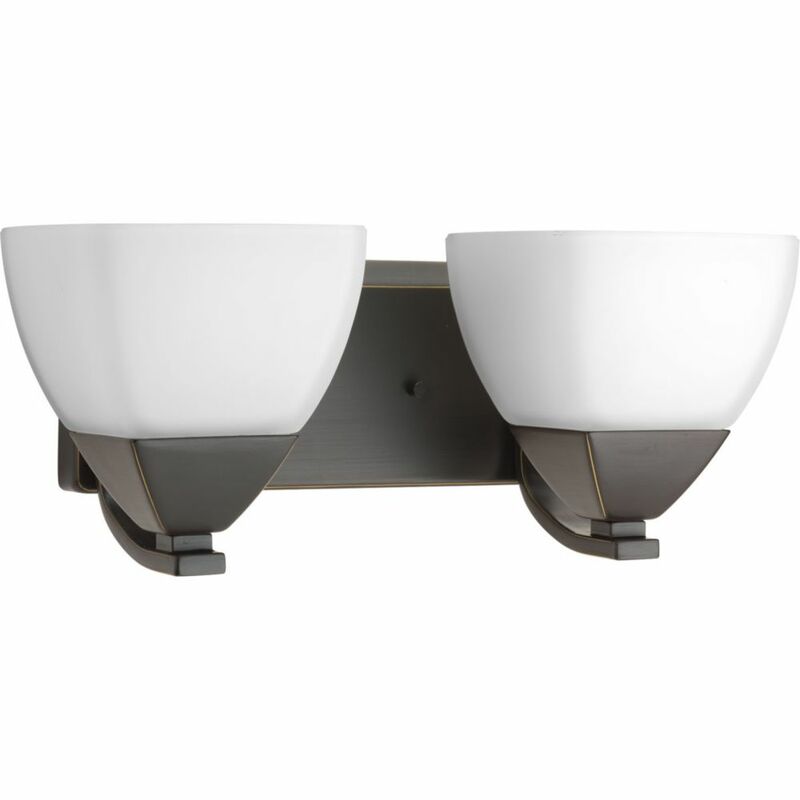 Fullers two-light bath & vanity fixture with etched opal glass is supported by two knurled bolts, offering little details that make a big statement within the home. A beautiful addition to any bath area. Appeal Collection 2-light Antique Bronze Vanity The Appeal Collection's distinctive forms highlight soft modern accents. Etched white glass shades balance nicely with the fixture's full back plate and simple square arms. Contributes to a desired spa-like effect.